A new Tele2 prepaid Internet access service is available now for use on computers. This service is ideally suited for tourists and people who just love being on the move and want to have Internet access wherever they go: on holidays, at the cottage or even on a hike. There is no contract to conclude and the service is immediately ready for use, offering Internet at 4G mobile network speeds across Estonia. 5 GB worth of Internet data to be consumed within the first 7 days from the SIM activation date. OK, cool. Where can I buy them? The prepaid Internet packages are sold at Tele2 branches, well-supplied petrol stations and shops. The 5 GB of Internet that comes with the starter kit without modem goes live within one hour of your card being activated by making your first call or launching your first Internet session. *Once the 5 GB of Internet included in the package has been used, further use of the Internet is charged according to the ordinary price list – €0.99 per GB per calendar day. Starting to use the internet service costs €0.99 and the price contains a data volume of 1 GB until the end of the current calendar day (00:00). If you use more than 1 GB per calendar day, every subsequent 1 GB costs €0.99. The balance required to start an internet session must be at least €0.99. If you fi nd the daily data volume insuffi cient, please choose a suitable internet package. * The low-rate period applies on working days from 8 pm to 8 am and round-the-clock in the weekends and on public holidays. ** The standard period applies on working days from 8 am to 8 pm. The above prices are listed as of 1 May 2016 and include VAT. Tele2 reserves the right to amend the price list and the terms and conditions for using the internet card. You are able to order a weekly or monthly internet package for the internet card. The most convenient way to order the internet package is in the selfservice: minusmart.tele2.ee. The text message price of €0.05 applies to the aforesaid orders. When you have used all the data volume provided in the internet package, any further internet charges will be applicable pursuant to the regular price list – €0.99 for 1 GB per calendar day. The one-week, one-month and one-month XL Internet access packages can be purchased by all Tele2 Internet card users (unavailable to Smart talktime card users). If you order more than one package before the first one expires, only the last ordered package will be valid. Example: If you order a one-month Internet access package and then immediately order a one-week package as well, paying a total of €12.98, only that one-week package will be valid and active: 5 GB for 7 days. When the Internet access package validity period expires or the corresponding data limit is reached, you will be charged for further Internet access in accordance with the usual price list. The data included in the Internet package price is not refundable or transferable as a prepayment. The one-week, one-month and one-month XL Internet access packages cannot be used abroad. 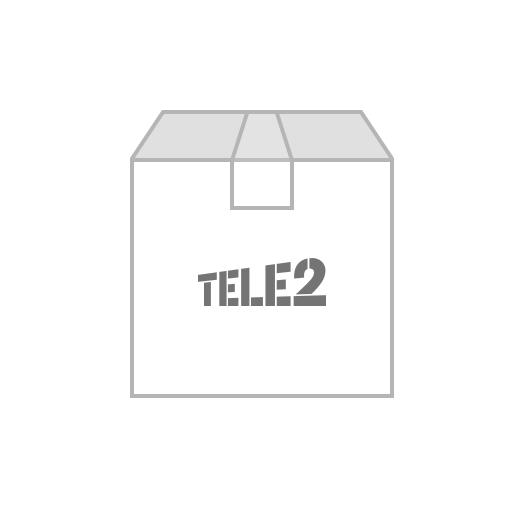 Tele2 reserves the right to amend the Internet package terms and conditions, notifying clients about it via its website: www.tele2.ee. You can always check your current Internet package data balance and validity remainder by dialling *245# and following the instructions. Query price: €0.05. Visit the prepayment adding page here. You can add a prepayment balance for the internet starter package from a contractual Estonian Tele2 number or a Smart prepaid card number by texting 95004. Prepayment balance can also be added to the internet card with Tele2 top-up cards. Top-up cards of various values are available. The internet card charge of €0.99 for 1 GB per calendar day is calculated in full as of the first session. Therefore, the prepayment balance on the card must be at least €0.99 before you start using the internet card. Tele2 considers reasonable usage of the internet to constitute visiting various websites, reading, writing, receiving and sending e-mails, using text-based instant messaging software and any other activities that do not bring about high-volume and constant data traffic sessions. Reasonable usage of the internet generally does not include using the mobile internet connection for downloading high-volume movies, software or games, including P2P (Peer to Peer) internet traffic. It is not permitted to use the internet card for intermediating telecommunications services to third parties. Tele2 will be entitled to block the card upon any unauthorised usage of the internet card. The prepayment balance on the internet card will not be exchanged for money. The prepayment you have added will remain valid for 6 months. If you have not used the prepaid balance within 6 months, we recommend adding more – otherwise you will lose the prepaid amount. If you do not add at least €2 of prepayment balance within 7 months as of the last top-up, your number will be closed and you must purchase a new internet card in order to use the service. Tele2 will be entitled to change the prices for accessing the internet, the rates per minute and amend the terms and conditions for the usage of the card by informing the clients thereof on its website. Please note that the card is only valid when used in its home network.